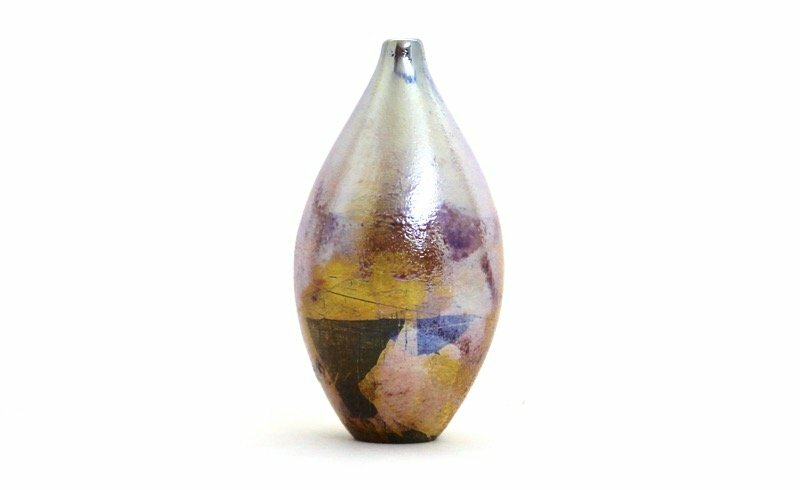 Lustre vase by Adam Aaronson. 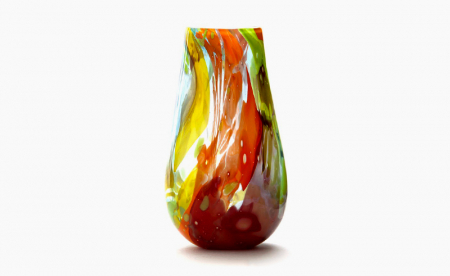 A complex freeblown glass sculptural vessel. 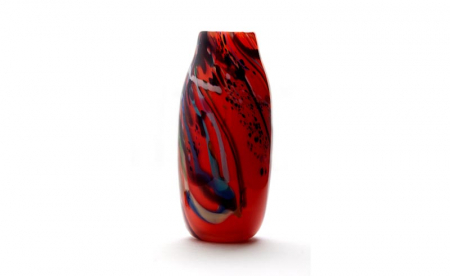 This complex freeblown glass sculptural vessel is a triumph of composition. 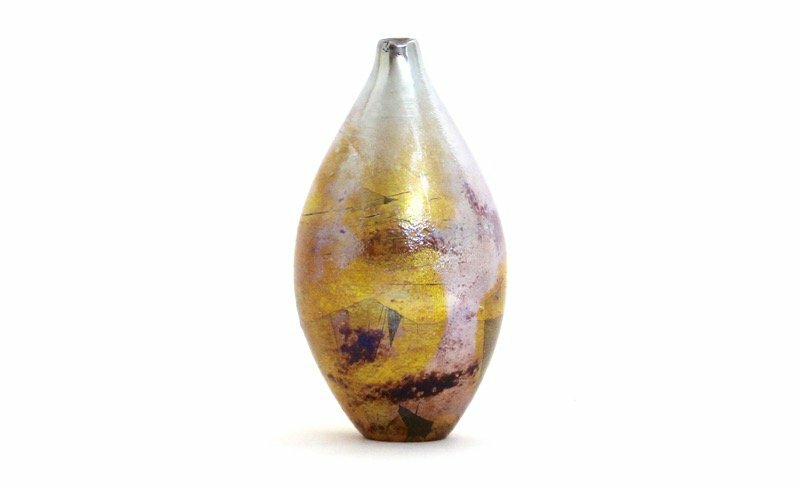 The surface is fired with pure silver leaf and textured coloured glass, creating a dramatic, shimmering perspective. 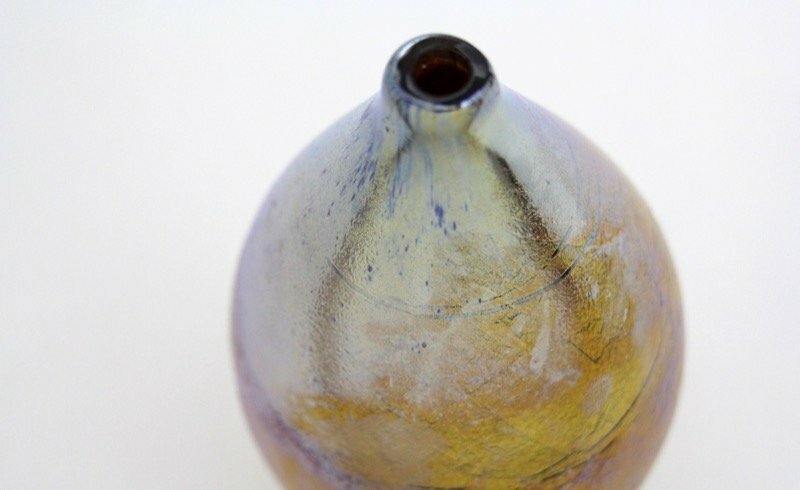 This is a complex freeblown glass sculptural vessel by Adam Aaronson. 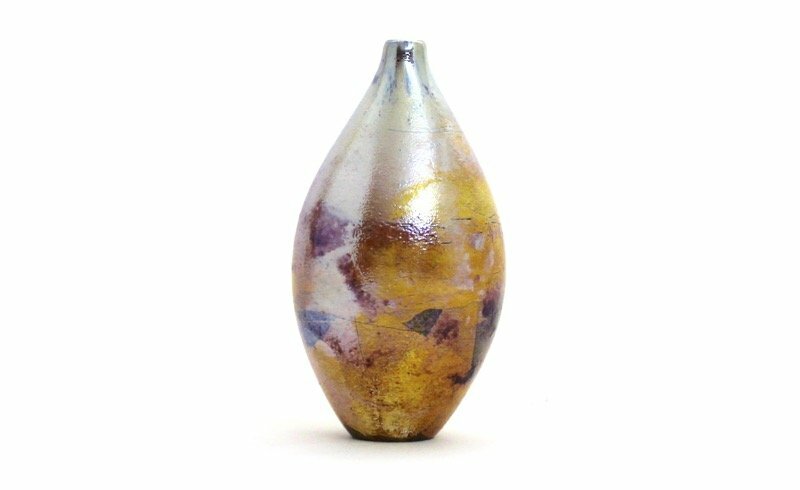 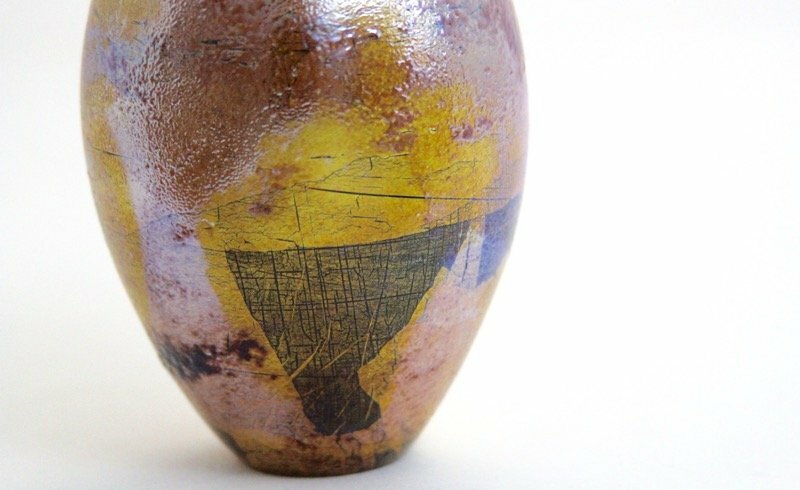 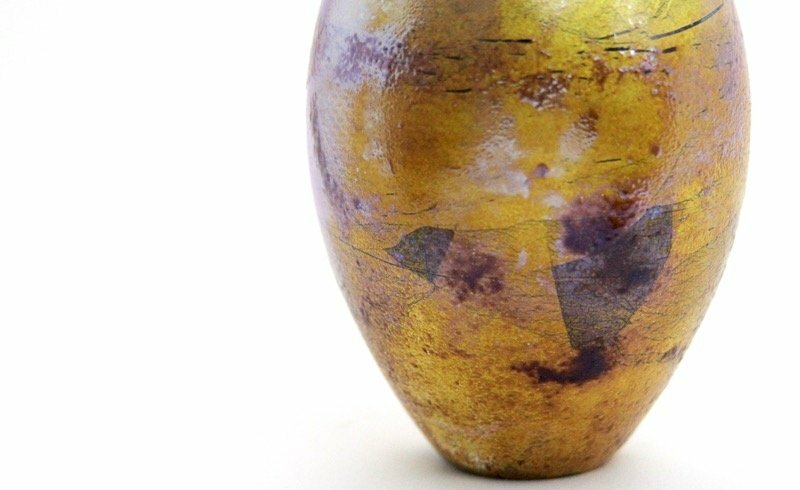 This ovoid lustre vase features a subtle surface. 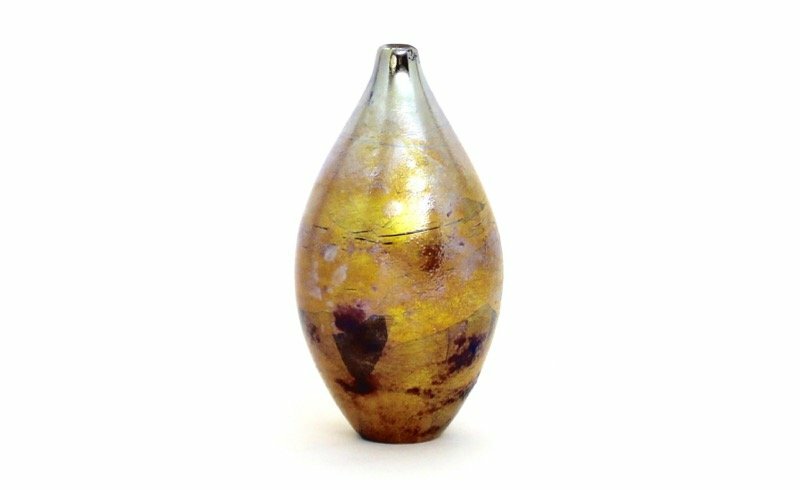 It has been fired with pure silver leaf and textured coloured glass. 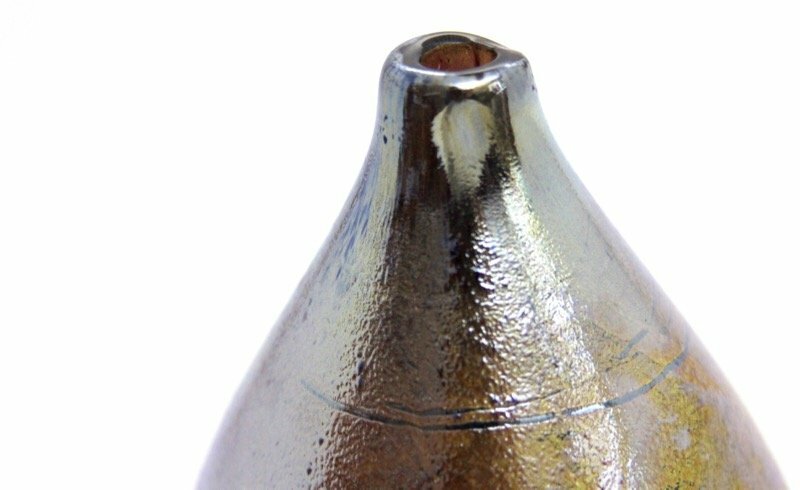 At the last stage of the blowing process, an Adam makes an adjustment to the gas-air mix of the flame used to re-heat the glass. 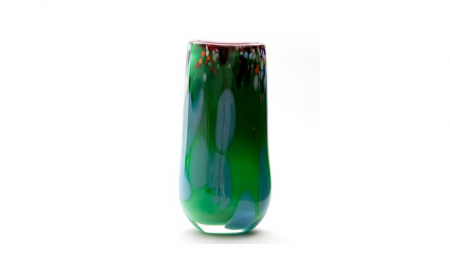 This instantly creates a dramatic, shimmering effect. 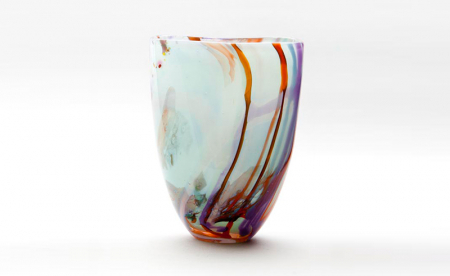 Together with all of Adam Aaronson’s lustre collection of work, this is a unique piece.